We have a lovely bag shot today, a really nice one. And it comes from small town Sweden no less. A very cool set up from a different part of the world. When we are talking about street photography we often imagine that it only happens in really big cities like Paris, New York or Tokyo. But allow me to introduce you to Karlskrona. At the southeastern corner of Sweden you will find this coastal town built on a number of islands. Here resides a county governor, some 30 000 more or less happy inhabitants in the central parts and just 65 000 in the municipality as a whole. Here I live and here I do street photography. My name is Joakim K E Johansson and I’m a professional communicator at the Swedish Naval Museum. But when my job ends I become my true self – a street photographer. I’m currently working on a project that I call Small Town Streets. My goal is to produce an exhibition and a book about my hometown. Or to be exact – about the people who lives in it. 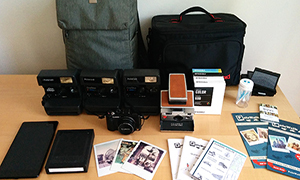 I work in a classic manner with analogue cameras and film. My favourite film is Kodak TMAX 400 developed in XTOL. 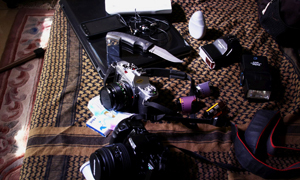 This is what you will find in my camera bag. But to be honest, I rarely use the bag. Mostly I hit the streets with only one of my cameras and an extra roll of film. 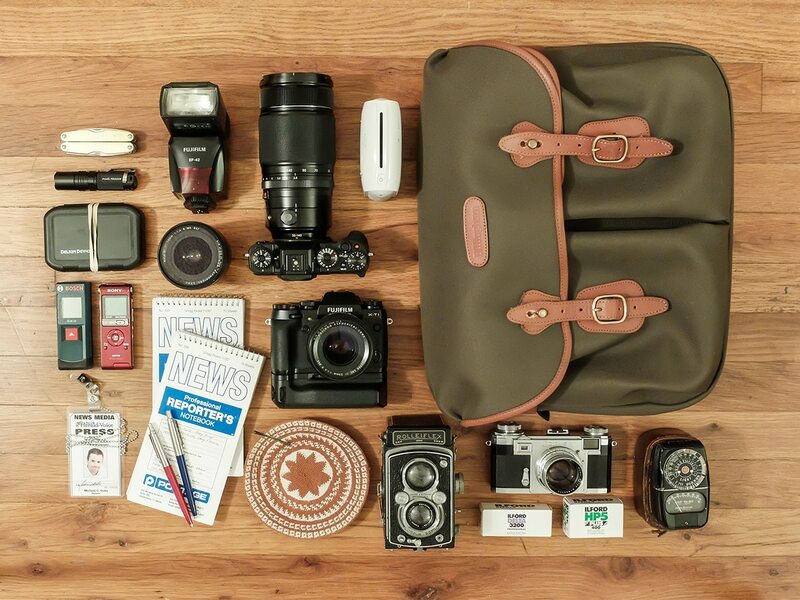 Thanks for sharing you bag with us Joakim, I love that Canon ‘ and the flash on the QL17. Very cool. PreviousWhy do you shoot film? Hey Joakim, nice bag. 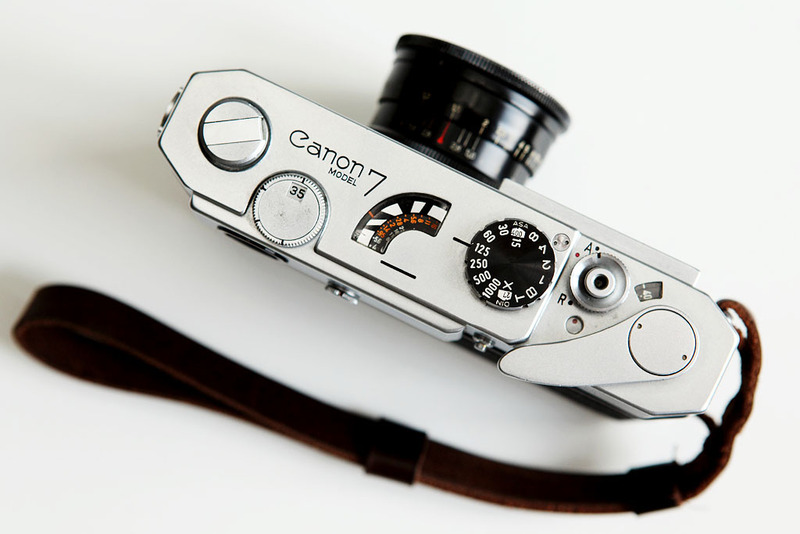 I’m considering that Canon 7. 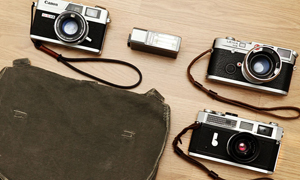 How do you like it compared to the Leica M6? IN every regard but especially handling? Canon 7 is a great camera and I can absolutly recommend it. 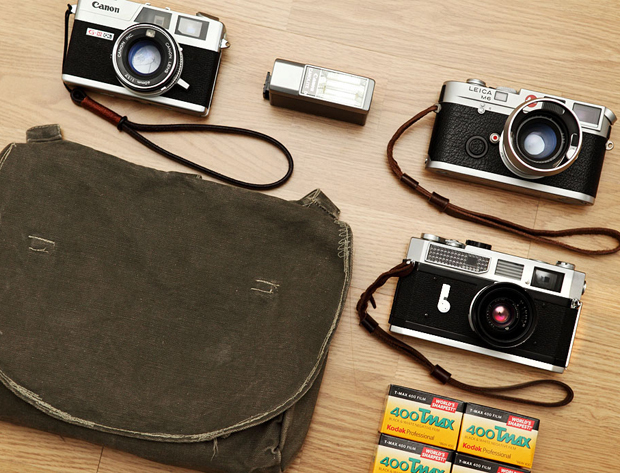 It’s very much like a Leica in handling. The camera is a little bit bigger, perhaps similar to the M5. 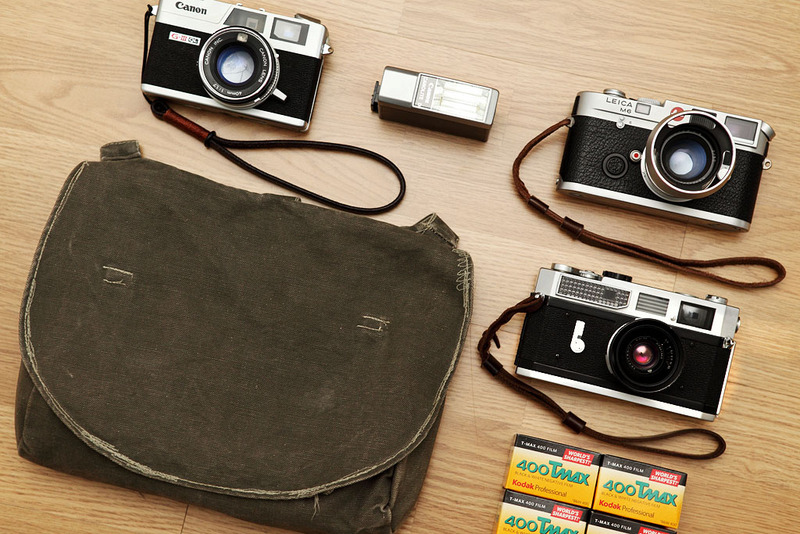 The biggest difference is that Canon 7 i easier to load with film. Hi Joakim. I love my Canon SBIV. 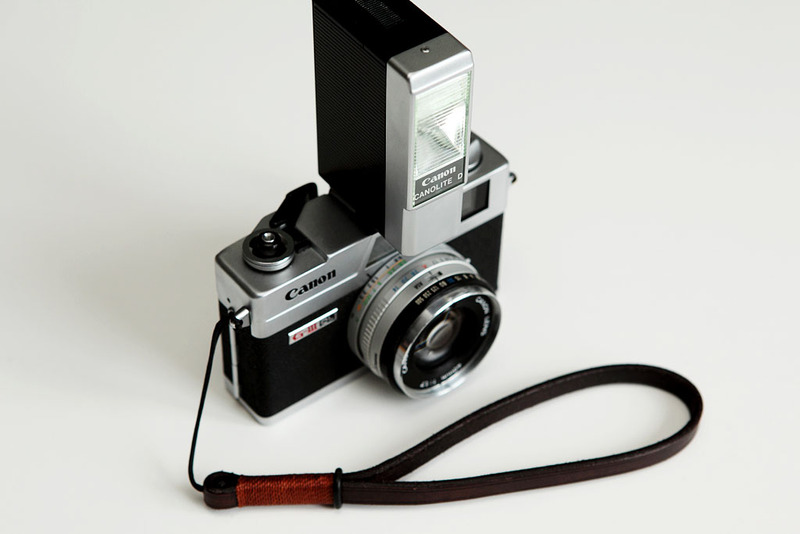 I have been tempted by a canon P, as it seems to be similar to the 7 but more accessable. How are your russian lenses? I bought a jupiter 8 once only to discover the rear element missing!! Russian quality control. My industar 61 is useless mechanically speaking. However I always find myself browsing russian gear on ebay… something charming about it all. In my small town of Kiuruvesi, I don’t really consider street photography viable with under 9000 people. Kuopio is OK at 105 236 but I don’t get to go often. I’m sure you don’t need too many people in a town/village in order to take part. You’ll find there are very few rules, if any. 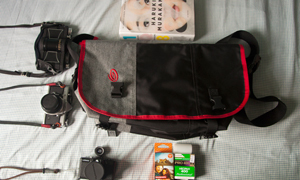 Nice bag,nice pics…I like your story too. Thanks for sharing.